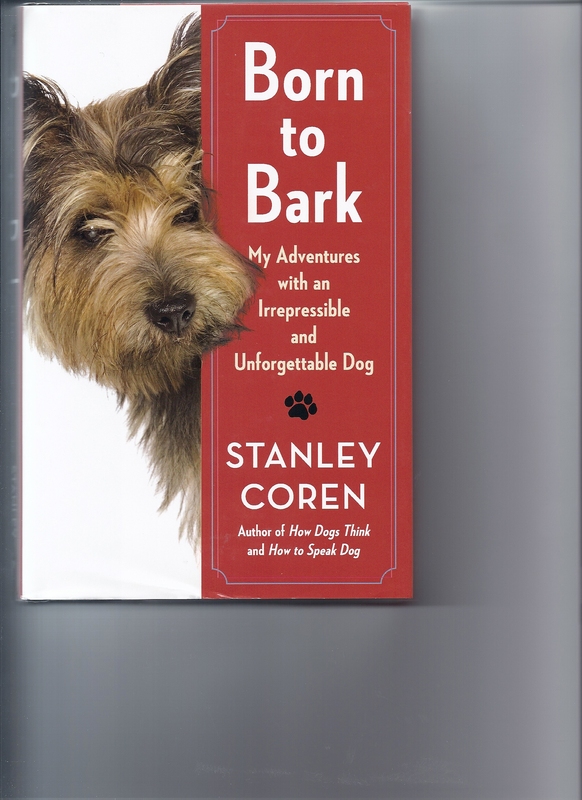 After reading the great book, Born to Bark: My Adventures with an Irrepressible and Unforgettable Dog by Stanley Coren, I realized the author and I had more in common than the Carin Terrier he once owned. Excuse me. The Carin Terrier that owned him. We both have had covers that don’t fit the book we’ve written. Grant it, the cover for Born to Bark is adorable. But the picture on the cover doesn’t match the description of Stanley Coren’s dog. His Carin Terrier is similar to Toto, as was the one I had when I was a child. I wrote about her spunky adventures in Help! My Life is Going to the Dogs. 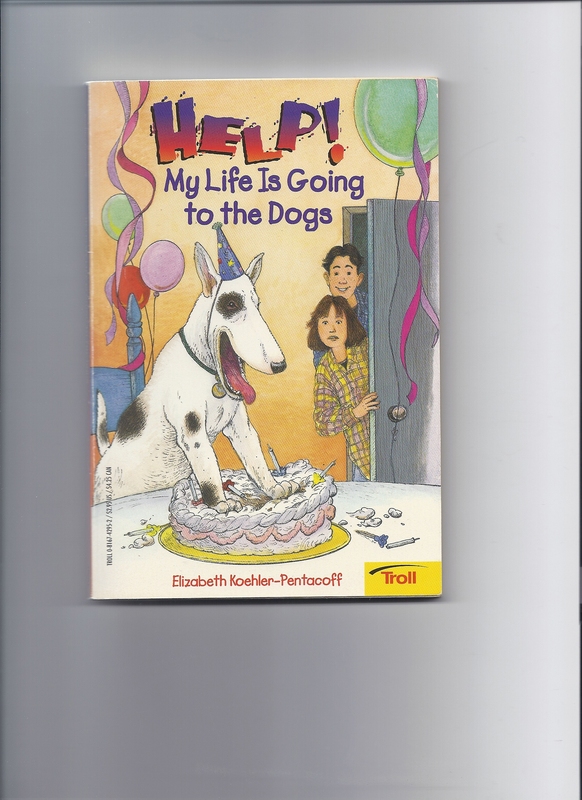 Seeing the dog on the cover of this book will show you how far off this illustrator was in capturing the true dog essence of a Toto-like dog. So why the discrepancy? With my book, I was told by my editor that the illustrator didn’t bother to read the book. There were no illustrations within the text. So he merely read the blurb the editors read for publicity! Yes, there was a dog party in the book. But no dog ever smashes a birthday cake. Could this dog be held in the girl’s arms and carried around when she’s sad? I suspect it would be easier for her to ride this animal like a horse. I never saw the cover art until it was too late; it would have been expensive to make changes so no changes were made. The editors were happy because they said the cover would sell books. Bottom line: which cover will sell more money? Which cover will be less expensive to produce? Fortunately, since that time I’ve had many more positive experiences with editors and illustrators. Editors have asked for my opinions and listened when I gave my comments. So each book, each illustrator, and each editor will provide every author with a unique publishing creation. In Born to Bark, I wonder if the author had more in-put to the cover than I did. Did they present him with potential sales figure to show him why this cover made more sense than one with a Toto dog? Or did the photographer happen to own this dog and not have to find a trained Carin to pose for the shot? Writing and Art Prompt: 1. You are an author of a recently acquired book. The illustrator has just presented the cover to you for your novel/memoir/chap book/or whatever you’ve chosen to write. The cover isn’t acceptable. What book have you written? Create the jacket flap for your book. Write your imaginary biography for the back! Now YOU create the cover! 2. The publishing world has been compared to the movie industry. Where are their similarities? Differences? Write a poem or short story with this theme. 3. Write a letter to an author or illustrator you admire. Ask them questions about anything in their craft that you’d like to know. Get their e-mail address or publisher’s address with online research. You never know, you may get an answer!